Adventurous, connected, and confident -- the Ford Escape is the SUV that has everything you need to gear up and chase your next adventure. Perfect for those always on the go, the Escape lets you fold down its standard 60/40 split rear seats to reveal a flat load surface and 68 cubic feet of total cargo space. Three available engine choices allow you to opt for power, efficiency, and capability. Available Intelligent 4WD gives the Ford Escape confidence across all weather conditions and terrain, meaning that you'll always be ready for the unexpected. Available Auto Start-Stop Technology helps the Escape maximize fuel economy, allowing you to spend less time at the pump and more time exploring. Available SYNC® 3 provides enhanced voice-recognition to seamlessly answer calls, access media, and much more. An optional Reverse Sensing System takes the guesswork out of parking and makes it effortless to squeeze the Ford Escape into a tight space. Stylish alloy wheel designs are offered in 17, 18, and 19-inch sizing to help you make a statement wherever you travel behind the wheel of the Escape. 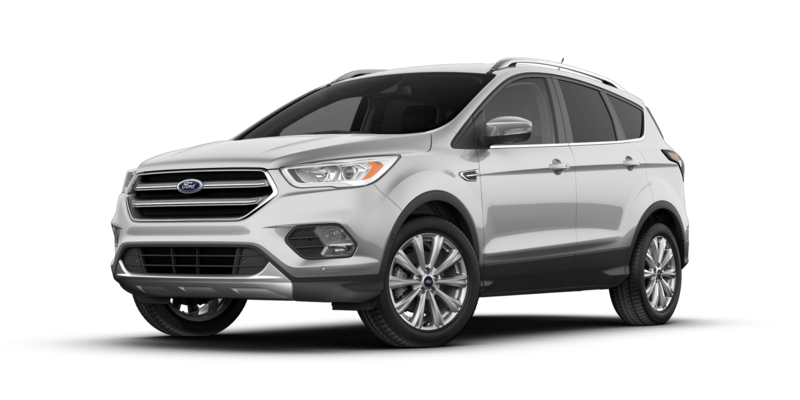 For 2018, the Ford Escape receives a new SEL trim level which includes leather seating surfaces, power tailgate, and SYNC 3 with an 8-inch display. SE models now feature heated front seats while the range-topping Titanium trim now comes exclusively with the 2.0L EcoBoost® I-4 with 245 horsepower. Regardless of your driving style, the Ford Escape has plenty of powertrain options to suit your needs. Standard power for the Escape comes in the form of a 2.5L iVCT I-4 engine with 168 horsepower. Standard on SE and SEL models is a 1.5L EcoBoost® I-4 with 179 horsepower for an optimized blend of power and efficiency. For the ultimate in driving thrills, the Escape Titanium comes with a Twin-Scroll 2.0L EcoBoost® I-4 with 245 horsepower. Every model comes paired with a responsive 6-speed SelectShift® automatic transmission along with Auto Stop-Start Technology to minimize fuel consumption. 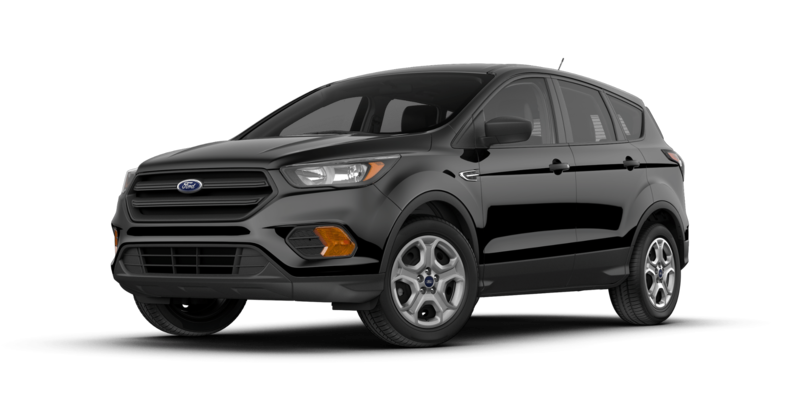 With a towing capacity of up to 3,500 pounds and an available Intelligent 4WD system, the Ford Escape is prepared to help you conquer your next challenge. 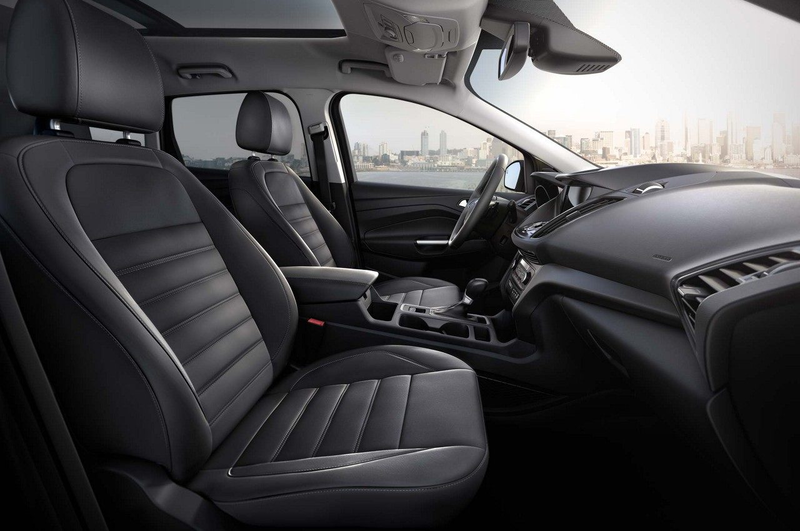 Step inside the Ford Escape and you'll be greeted by a comfortable environment that's packed with an extensive list of available amenities. Featuring a large forward panel which tilts up or opens fully, the optional Panoramic Vista Roof® also offers a fixed rear skylight for an added touch of refinement. Sized and contoured to fit anyone's hands, an ergonomic steering wheel features an available heating function to warm up on those chilly winter mornings. Versatile seating configurations give you the ability to adapt the interior to suit your needs. Choose from cloth, partial leather, or leather seating surfaces for personalized comfort. 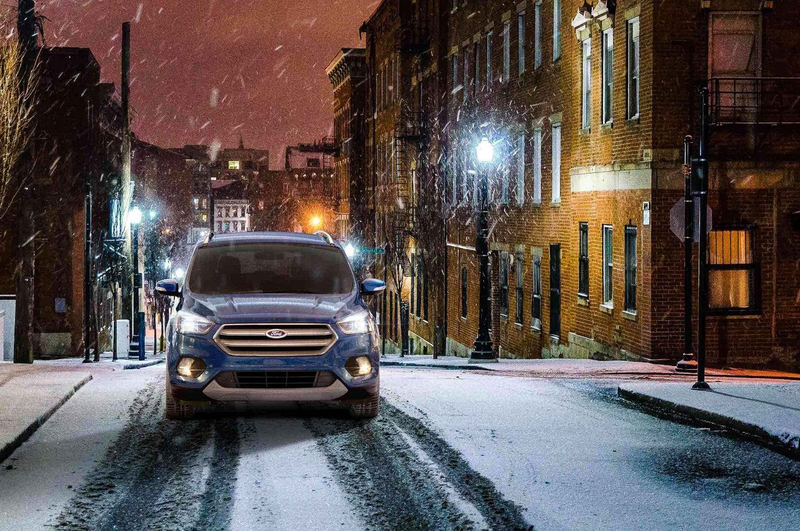 Find your favorite color among the 7 hues of ambient lighting to customize the mood inside the Ford Escape. Thanks to an array of advanced technology features, the Ford Escape proves to be one smart SUV. Bring the power of Siri® into your Escape with Siri Eyes Free and your paired iPhone®. Available SYNC 3 offers simple-to-use, responsive voice-activated technology in addition to Wi-Fi® Hotspot connectivity. 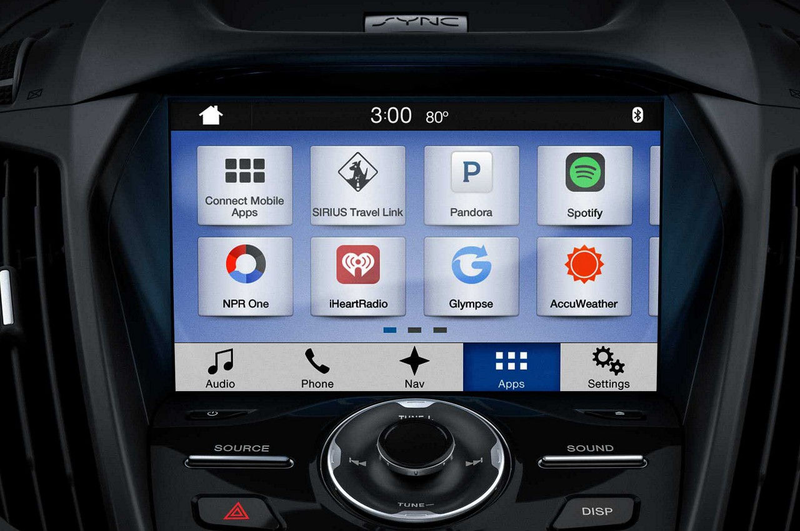 You'll also enjoy your favorite apps and media with seamless smartphone integration via Apple CarPlay and Android Auto. FordPass is your one-stop app for finding parking, comparing fuel prices, receiving key vehicle info, and even locking or unlocking your vehicle remotely. Designed to keep you out of harm's way and protected from the unexpected, the Ford Escape comes equipped with several groundbreaking safety features. 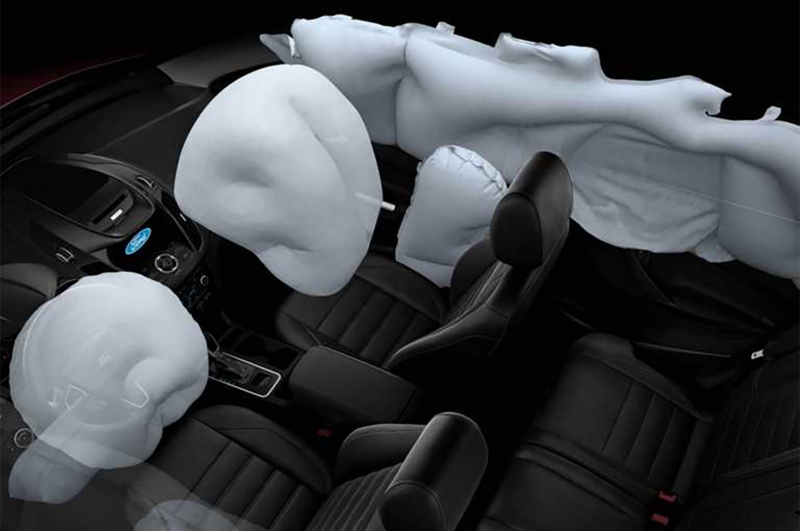 7 airbags are included as standard equipment and features a Personal Safety System™ for the driver and front passenger. Additional available driver-assistive safety technologies include Enhanced Active Park Assist, Adaptive Cruise Control, Forward Collision Warning with Brake Support, and BLIS (Blind Spot Information System) with Cross-Traffic Alert. 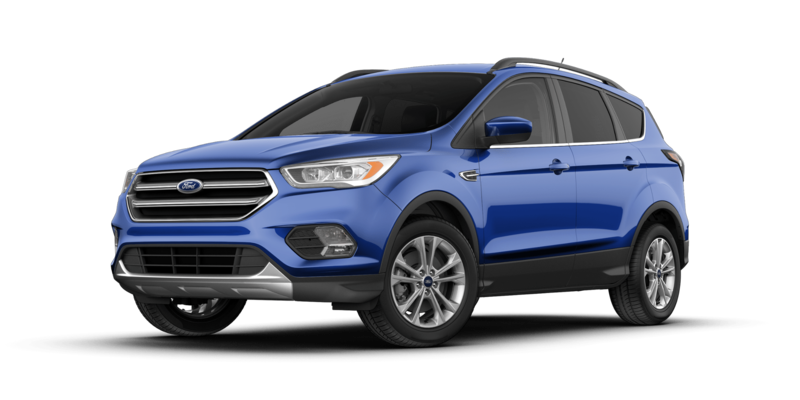 With such a commitment to keeping occupants protected, it comes as no surprise that the Ford Escape has earned a 5-Star crash rating from the NHTSA***. ***Government 5-Star Safety Ratings are part of the National Highway Traffic Safety Administration's (NHTSA's) New Car Assessment Program (www.safercar.gov).